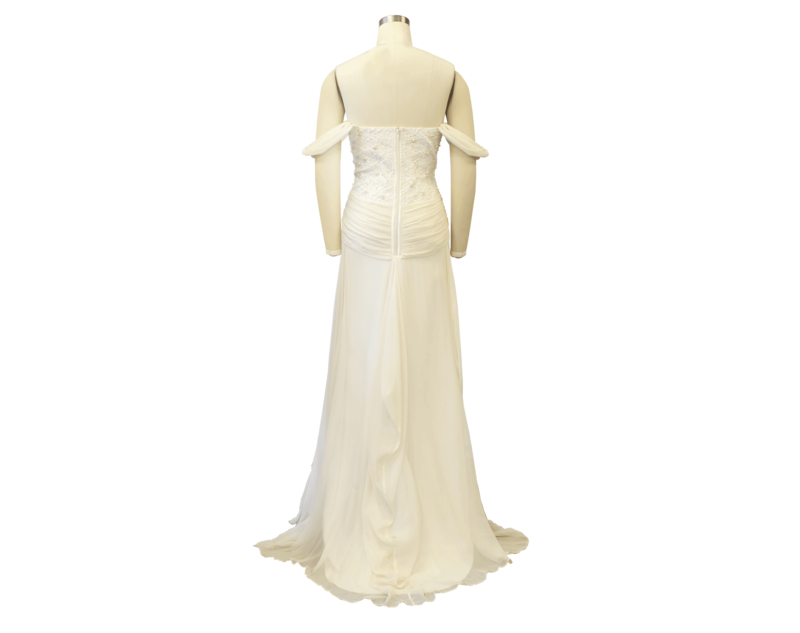 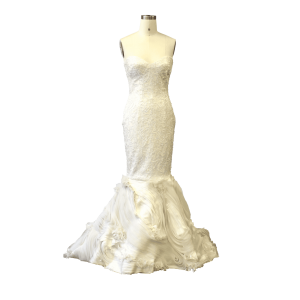 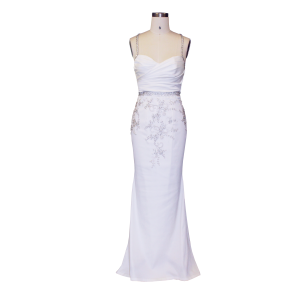 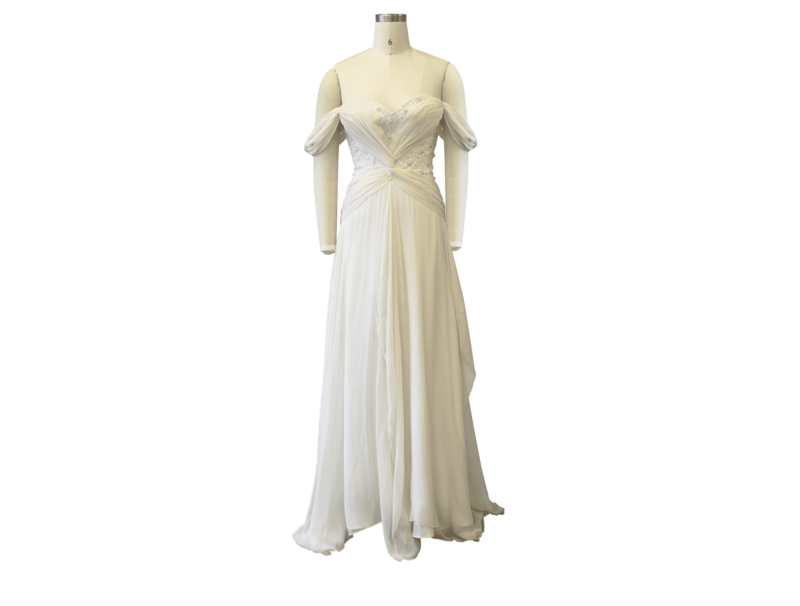 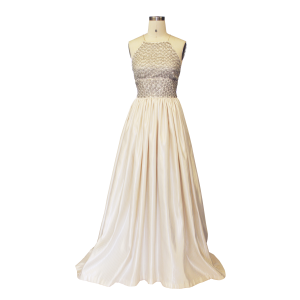 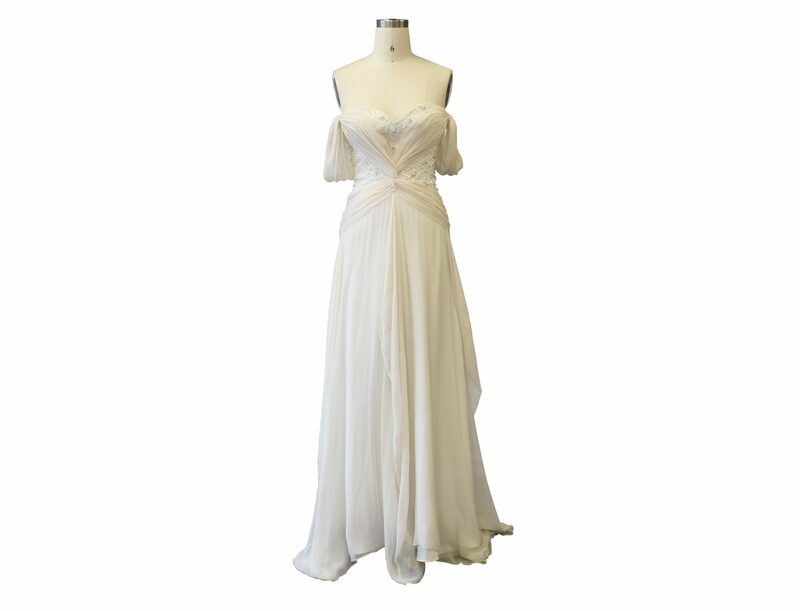 This a-line gown features a hand beaded lace sweetheart neckline bodice. 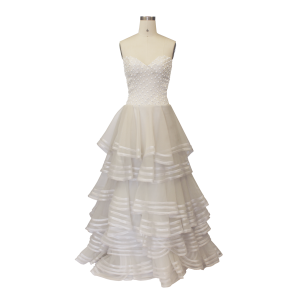 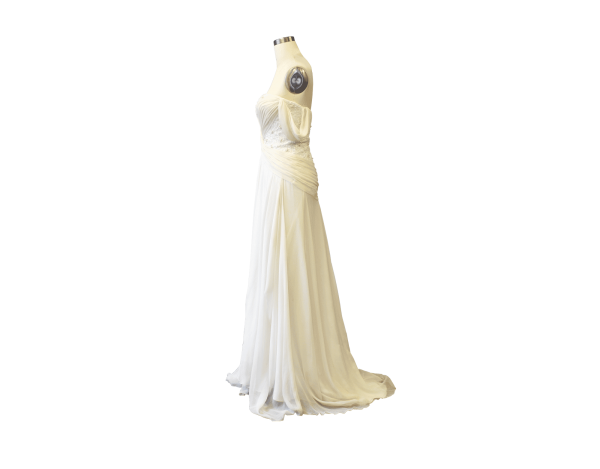 Soft crinkle chiffon is softly draped in an off the shoulder style with a center front twist. The skirt is made of draped textured chiffon. *Please contact us for alterations and shipping prices if needed.